It’s been just three days since Super Mario Run was announced for iOS. 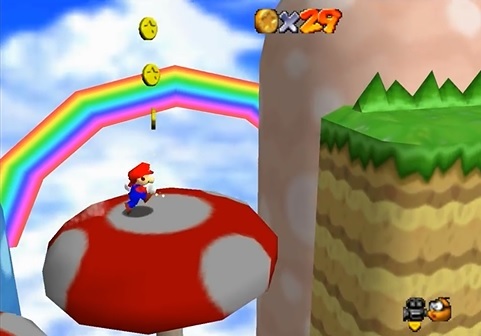 But impressively, it seems the game has already been part recreated as a Super Mario 64 ROM hack! Yes, you read that correctly. Kaze Emanuar (the Mario 64 hacker responsible for Mario 64 Last Impact and other such projects) has already made his own ‘version’ of Super Mario Run in the Super Mario 64 engine! More impressively than that, it was made in just three hours! It’s a decent recreation, all things considered. Oh sure, it has a few minor flaws (Goombas can move into the background), but it nails 99% of the concept. Mario runs forward automatically, as expected. Collecting as many coins as possible before reaching the goal is the main aim. And heck, Mario seems to be locked to a single path too. Pretty good for a day’s work! So what do you think of the mod? Are you impressed it was created in just one day? Or do you think that says something about the game its based on? Post your thoughts on the forums and social media today!